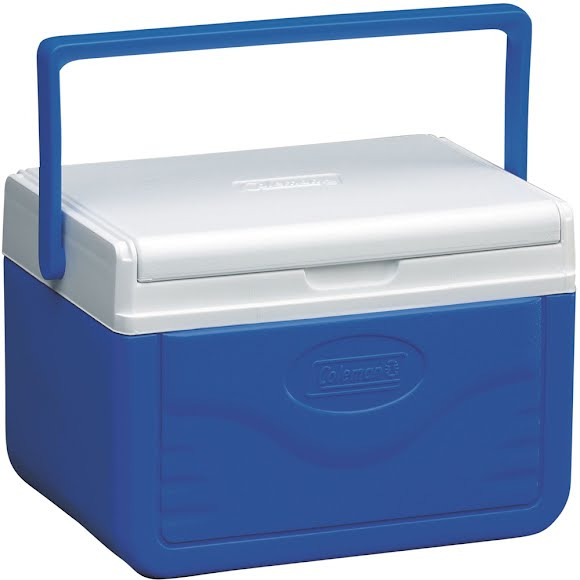 Take a cooler and a mini table with you to your next event when you bring along a Coleman 5 Quart FlipLid™ Cooler. Large enough to hold 6 cans, you'll have plenty of space to pack a full meal. Whether you're bringing lunch to work or heading out for an afternoon picnic, the bail handle makes getting to your destination easy. Take a cooler and a mini table with you to your next event when you bring along a Coleman 5 Quart FlipLid™ Cooler. Large enough to hold 6 cans, you&apos;ll have plenty of space to pack a full meal. Whether you&apos;re bringing lunch to work or heading out for an afternoon picnic, the bail handle makes getting to your destination easy. Once you arrive, the FlipLid™ hinged lid flips over for use as a tray with molded beverage holders. When the fun is done, the EZ-Clean top wipes clean, so you&apos;re ready for your next fun adventure.